Sometimes an old boat simply needs a face-lift to bring it back to shipshape. No such luck for Steve Clancy and Dave Solway, owners of vintage but well-worn 23-foot SeaCraft center consoles from the 1970s. With rotted transoms, wet deck coring, faded gelcoat and tattered upholstery, both boats were suffering from wear and tear and structural integrity problems. 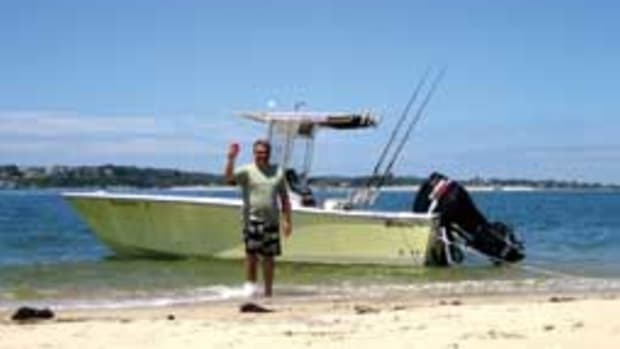 And the early ’90s carbureted 2-stroke outboards on the SeaCrafts were nearing the end of their service lives. It was decision time. 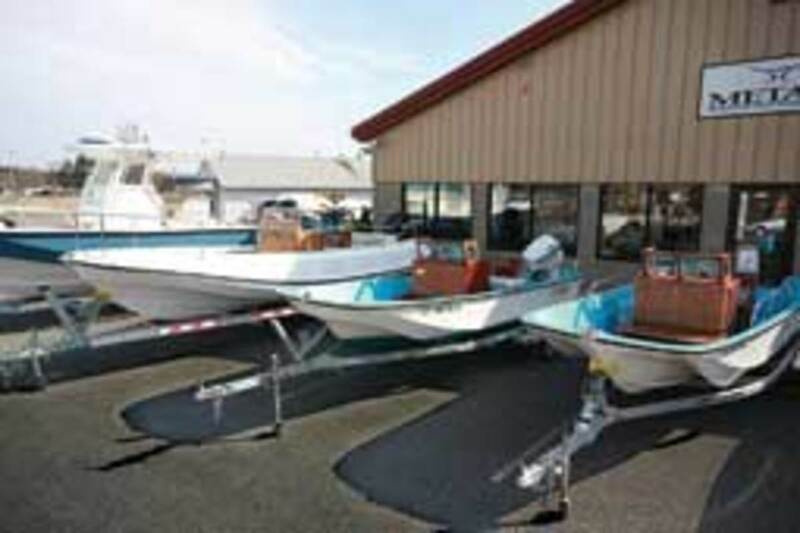 Solway and Clancy had to decide whether to part with their boats or spend some major dinero on them. 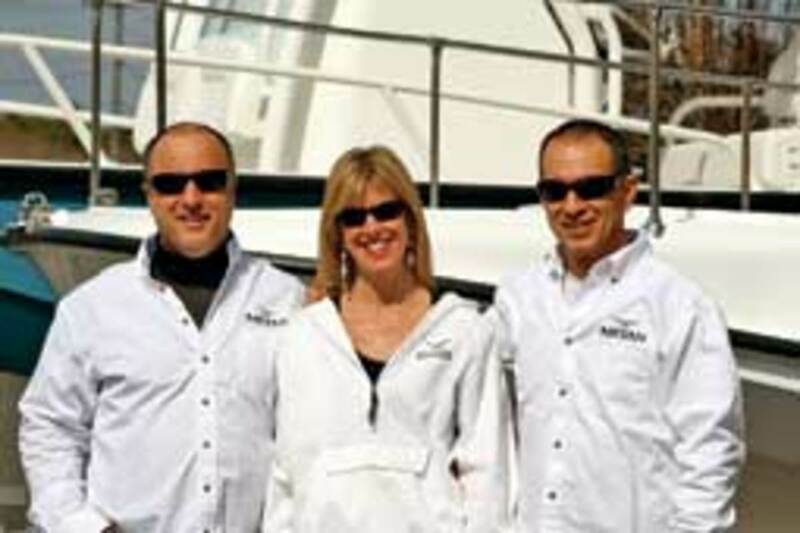 Clancy and Solway turned to Mike Borrelli’s Metan Marine Restoration in Halifax, Mass., for stem-to-stern, keel-to-T-top overhauls. 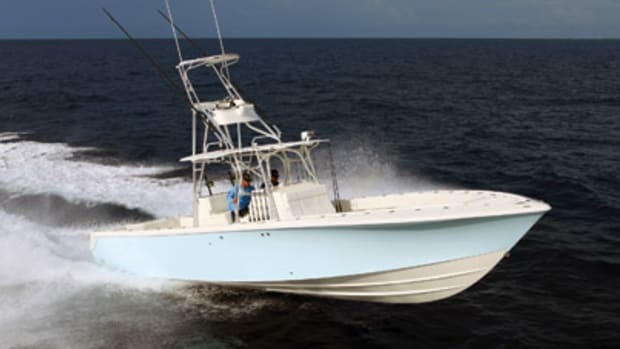 The company has made a name for itself restoring classic fiberglass boats up to about 35 feet, specializing in SeaCraft and Boston Whaler. A complete restoration of a SeaCraft 23 includes the replacement of the transom, stringers, fuel tank, decks, deck lid and all hatches, as well as new gelcoat, Borrelli says. The console and leaning post are rebuilt or replaced, and Metan installs a custom fiberglass hardtop. An Awlgrip paint job and a 250-hp 4-stroke finish the job, he says. Cost: about $100,000. With all of the bells and whistles — electronics (including radar), a sanitation system, a teak package, fresh- and raw-water systems, and outriggers and other fishing equipment — the price reaches $125,000, Borrelli says. 4-stroke or Evinrude E-TEC, is about $25,000. Metan removes and replaces all of the foam and installs a new transom, hardware and deck. The deck laminate is epoxy-resin-infused to the foam, which is sculpted into the shape of the deck beforehand. It takes about 250 hours to restore a 13-foot Whaler and about 400 hours for a full refit of a 16-foot Sakonnet, he says. Metan will spend 750 to 1,000 hours on a SeaCraft 23 restoration, he says. The company has 11 full-time and three part-time employees who work in a 7,500-square-foot building. The Borrellis’ son, Joey, 18, and daughter, Julie-Anne, 21, are two of the part-timers. Metan uses high-end materials and methods for the restorations. 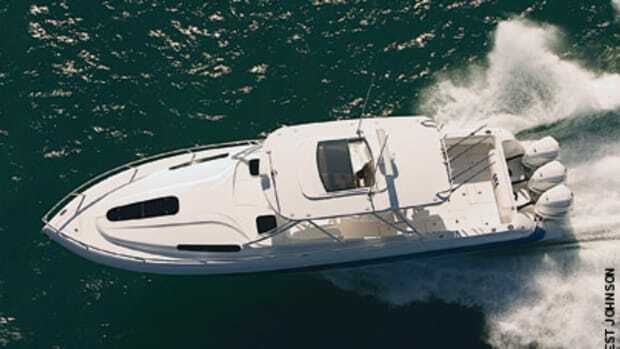 The SeaCraft 23 composite cores are epoxy-resin-infused. Mechanical fasteners and methacrylate adhesive hold the stringers and deck together. 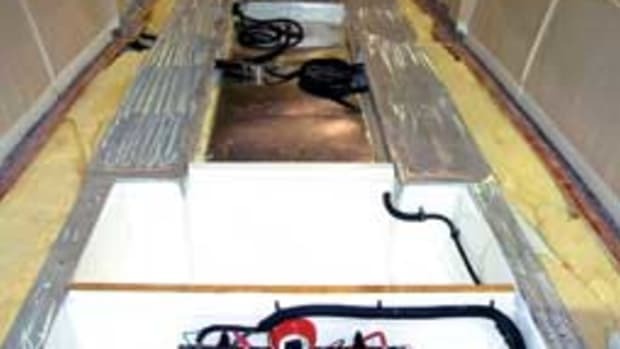 The bulkheads, hatches and hardtop are also built utilizing resin infusion and vacuum bagging. On SeaCrafts, Borrelli performs an optional procedure for additional reinforcement to the deck and superstructure. 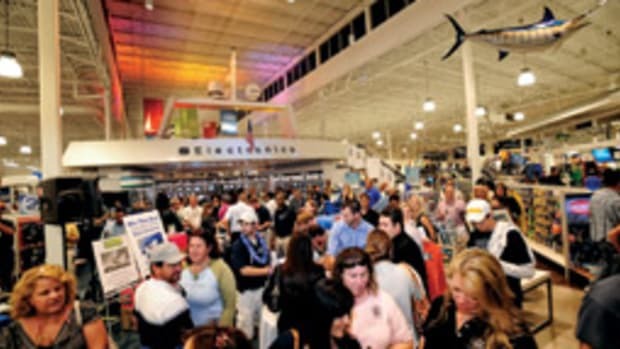 A half-inch-thick aluminum grid system is mechanically fastened and bonded to the stringers. Then the console, leaning post and T-top are fastened and bonded to the newly formed deck-grid-stringer component. The cost is $2,000 for materials and installation. Clancy’s refit followed Solway’s. He learned about how the head was installed and wanted one on his SeaCraft, too. 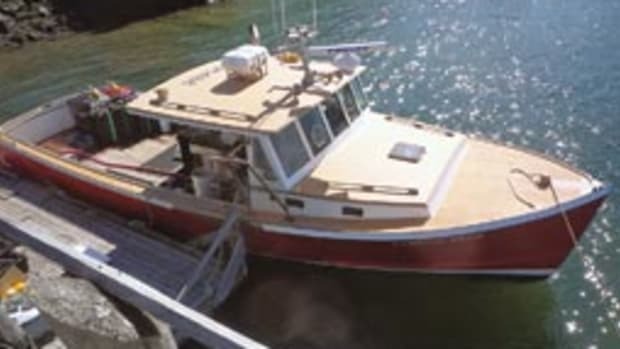 “The details really enhance the boat, like the woodwork, the head, the hardware and the deck,” says Clancy, who has four children, ages 13 to 22, with his wife, Bonnie. The deck’s composite coating (with non-skid) mimics the pinstripe pattern of the original SeaCrafts. Both Clancy and Solway opted for Metan’s teak package, which includes a solid teak forward bulkhead and anchor locker door. A teak panel on the face of the helm console receives the flush-mounted electronics, and both boats have stainless steering wheels with teak bevels. Solway opted for a wheel on centerline and a storage compartment with a teak lid to port. Clancy went with a port-side wheel, a raised engine control mount and two cup holders to starboard. Both have the custom hardtop. Kent Fabrications in Pembroke, Mass., fabricated the pipe framework (www.kentfabrications.com). Clancy’s leaning post has a two-person aft-facing seat on its back side that also serves as dry storage or a fishbox. Solway’s leaning post is smaller and simpler, with four rod holders and a hand hold, but no aft-facing seat. 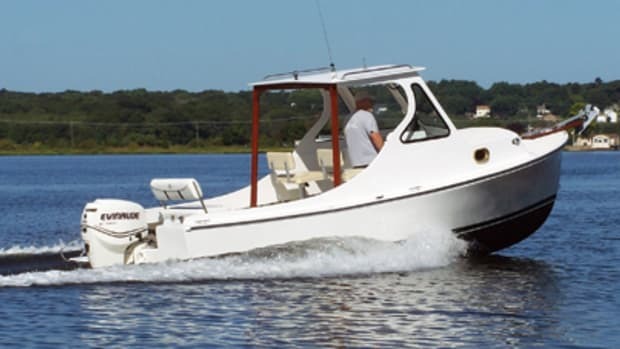 Sure, the vessels look great, but the ride of the SeaCraft 23, which has 24 degrees of transom deadrise, cannot be overlooked. “I had heard stories that this particular hull had a history of fishing Cape Cod, and I do a lot of tuna fishing with friends,” Solway says. 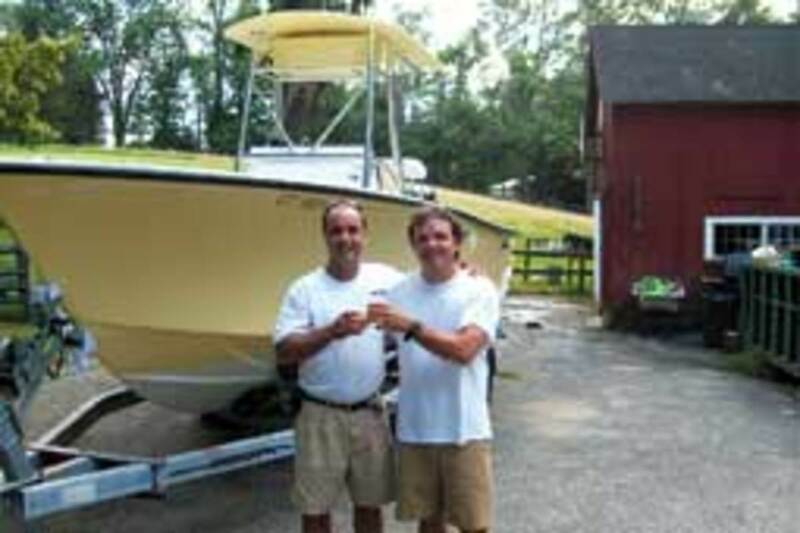 “I didn’t feel comfortable in the 22-foot boat I had at the time and I had this opportunity to purchase a SeaCraft from a friend.” He purchased the boat in 2000 for $19,000. The restorations require patience as well as a sizable financial investment. Solway’s and Clancy’s restorations were in the $95,000 to $105,000 range, Borrelli says. “The price, compared to a new boat, was essentially the same,” Solway says. Both owners believe their restored boats are better in all areas — construction, fit and finish, layout and overall appearance. And they say the boats will outlast the newer models.